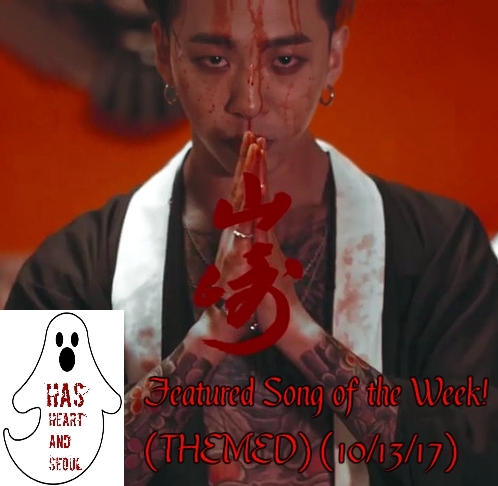 Starting the themed Featured Song of the Week. This week following along with my Dark series, I chose a fairly new song. If you haven't noticed, the music video for this song is now Unlisted. Meaning you cannot find it on any search whatsoever. This includes Google, Youtube, etc. 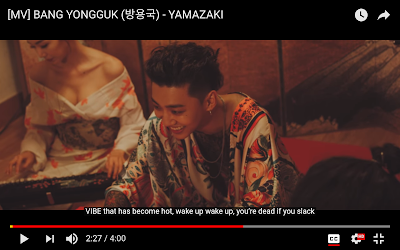 There are options you can find in search such as ones with the lyrics on the music video or even just lyrics.. For some reason I'm not sure of, they listed it as unlisted. Then again in some sense I can kind of understand it. It's a very dark music video. There's all sorts of blood, chickens getting heads cut off, etc. While I don't know what concept they were really going for with this music video, I will say that I do like the song. In case you didn't know, Yamazaki isn't some code word for something illegal or weird. Yamazaki is literally just a whisky. Alcohol. 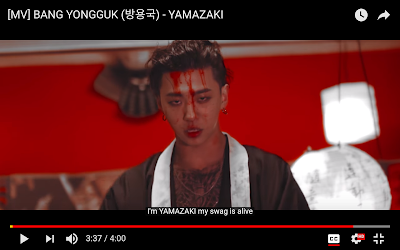 The lyrics refer to alcohol alot, but I've seen people question what Yamazaki actually is. It literally is just a Japanese whiskey/distillery. Nothing crazy, even though the music video is pretty crazy and out there. I'm telling you the music video is crazy.. I don't understand it.. I don't know if I'm missing something... or if it's just suppose to be like that. Whatever the case, it is very unique and the song is good. I don't normally like songs like this, but I actually enjoyed this song. Bang Yongguk is a great rapper compared to many idol rappers. Keep looking out for this months themed blast from the past and featured song of the week! Also The Darkest music video series starts soon along with all the other HAS members Halloween themed series!